We’ve said it before, and we’ll say it again: Trading forex involves taking risks. 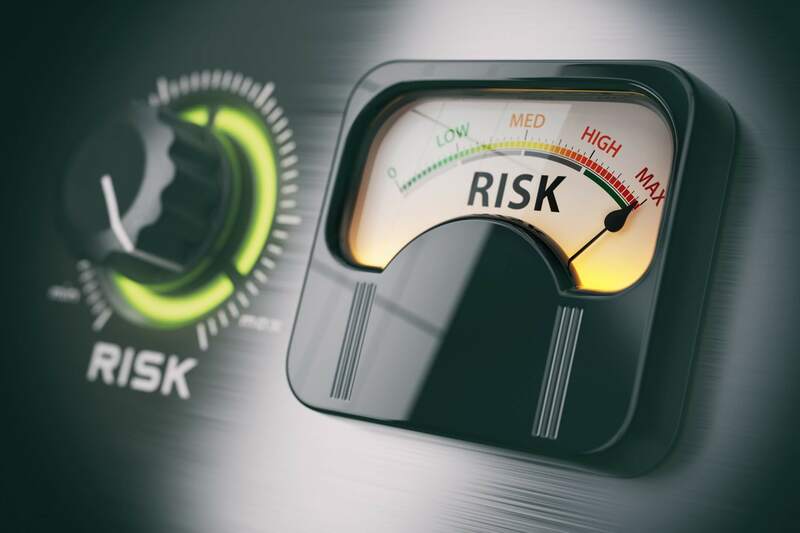 A good trader does everything possible to manage risks, but no trader, not even one who uses artificial intelligence instead of a human one, can make forex trading entirely risk free. But a skilled trader, just like a banker or a broker, puts forex risk management practices at work to keep risk at a minimum. Let’s start with the most challenging forex risk management practice of all – knowing when to quit. If you haven’t traded with real money before, you won’t understand why this is so hard, but after one day of putting your funds at risk, you will. Because in forex trading, it’s always possible for a currency pair to change direction, even though that possibility may be infinitely small, don’t fool yourself into thinking that it will happen. This is when traders foolishly widen the stop loss, thinking, ‘I’ll just give it a little more leeway…” And, nearly every time, the losses get more significant. Good forex risk management practice will prevent you from falling into this trap. Just set your stop loss rationally, with strategic logic behind what you are doing, and then stick to your logic. Don’t let your emotions carry you away. Control the risk on each trade, and your profit will grow. Another fundamental rule is to control the size of any position you take. For example, if you have $10,000 in your trading account, don’t put all $10,000 on a single trade. Divide your funds up for use in different positions. This division doesn’t have to be even: You may want to have funds that are used for less risky trades, and smaller amounts for riskier ones. This is indeed a good strategy for beginners. Obviously, if you divide up your funds into very small portions, you not only won’t see much gain when you win at a trade, but you’ll also risk having small market fluctuations move past your stop loss before the trade has a chance to exercise properly. So be reasonable, but be careful too. It is relatively simple to calculate how much money you gain or lose per 1-pip movement. But it’s not necessary to think in those terms (tends to make traders anxious). Before you trade, decide what the desired exit point would be – within reason. Now consider how the strategy will work to get to that exit point. When you see that the strategy is not working, how will you decide that it has failed? Suppose I’ve gone long in USD/GBP, and I see the pair hitting resistance at $1.10. It drops and then hits the resistance again at $1.10. How many times should that happen before you close the trade? Make that decision, and hit the close-trade switch no matter how bad it makes you feel. Hedging, at its most basic, means making two trades at the same time, so that if one loses, the other one covers the losses. Most brokers won’t allow direct hedging, which is most simple and effective: You trade USD/GBP and at the same time, GBP/USD. Close the losing trade faster. But there are other types of hedging that help control risk, like forex options. A forex option is an agreement to exchange at a specified price in the future. For example, you place a trade on EUR/USD at 1.30. To protect that position you place a “strike option,” which means an order to sell, at 1.29. This costs you only the purchase price of the option if it doesn’t happen. There are also even more complex approaches to hedging, and a trader should study them if this kind of risk management seems appealing. We think that simple is better when it comes to forex risk management unless you’ve got a great deal of money on the market. Hedging properly, however, requires a deep understanding of the market, and traders risk largescale losses if they aren’t at that level. The bottom line: Don’t hedge if you’re not very confident about predicting market swings and timing. But each trader should choose what feels right – the important thing is to make a choice and stick to it.